Private college and university investment income is now subject to an excise tax. UBIT must be computed separately for each unrelated business activity Many nonprofits generate taxable income through unrelated trade or business activities. 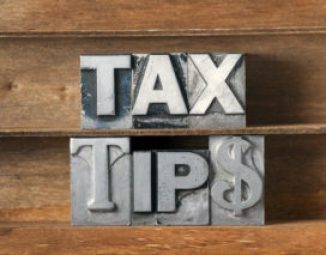 An unrelated trade or business activity is an activity that a tax-exempt organization regularly carries on which is not substantially related to furthering the organization’s exempt purpose. For example, if a tax-exempt organization sells its membership list to a for-profit entity that is an unrelated trade or business activity. Previously, organizations could aggregate their income and losses from their different business activities in calculating their UBIT. This aggregation allowed organizations to offset income incurred through one activity with losses from another activity. Under the new law, however, tax-exempt organizations must compute their UBIT separately for each unrelated business activity. Although the UBIT rate will now be the new, lower 21% corporate tax rate, the new law puts tax-exempt organizations at a disadvantage when compared to for-profit entities, which can still offset income with losses from different types of business activities. As a result, there may be structural changes in how tax-exempt organizations are set up in the future. The TCJA imposes a new 21% excise tax on executive compensation over $1 million that tax-exempt organizations pay to “covered” employees. A “covered” employee is an employee or former employee who is one of the five highest compensated employees for the tax year, or was a covered employee of the organization or its predecessor. Before the TCJA, executive compensation paid by tax-exempt organizations was subject to reasonableness requirements and a private inurement prohibition. The new law defines compensation as (1) remuneration (other than excess payment contingent on separation from employment) over $1 million paid to a covered employee for the tax year; plus (2) any excess payment contingent on separation from employment paid to them. Remuneration for this purpose generally means wages but does not include wages paid to medical professionals for performing medical or veterinary services. 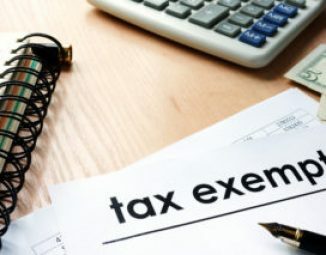 The excise tax is paid on the portion of compensation in excess of $1 million and is imposed on the tax-exempt organization, not the employee earning the compensation. For example, if an organization is paying an executive $1.5 million, it will owe $105,000 in excise taxes for that compensation. Higher education institutions and larger nonprofits are the organizations most likely to be affected by this new tax law. This change will make it more difficult for tax-exempt organizations to compete effectively against for-profit companies in hiring qualified executives. The new provision penalizes nonprofits for paying executives competitive salaries in a manner similar to the for-profit penalties under Internal Revenue Code Sections 162(m) and 280G. The TCJA also takes aim at the large endowments that many private colleges and universities hold by imposing a new 1.4% excise tax on the net investment income generated by those endowments. The tax applies to private colleges and universities that have at least 500 students (more than 50% of whom are in located in the United States) and assets with an aggregate fair market value of at least $500,000 per student. The tax will affect several dozen elite colleges and universities like the University of Pennsylvania, which as of June 2017 had a $12.2 billion endowment to generate net investment income. According to the University of Pennsylvania’s 2016-2017 Annual Financial Report, its investment fund saw gains of $1.3 billion in FY17. In addition to the three new provisions highlighted above, there are a handful of other tax law changes that will affect tax-exempt organizations. Based on several proposed provisions regarding tax-exempt organizations that Congress dropped from the Senate bill during the reconciliation process (for example, a repeal of tax exempt status for professional sports leagues), it is also anticipated that more changes may come. Some commentators are suggesting that the detrimental nature of the new provisions and the potential for more changes in the future signal a new climate for nonprofits in which they should take greater care to protect their tax-exempt statuses.